10/17/2013: The tool still works with patch 1.63. I don't expect them to make any changes to the effect resource format after the last EP, so this is probably the final version of the tool (at least as far as patch updates go). 07/02/2013: Fixed a bug that caused packages for games patched to 1.38 or older versions to be broken. If your patch level is 1.42 or later, you should be fine. Thanks bunnypig for reporting the issue! 06/18/2013: Update to fix issues with patch 1.55 in s3piwrappers.EffectResource.dll. As always, make sure to create a new package for the patch. 02/19/2013 Note: The tool still works with patch 1.50. Just make sure to create a new package for the patch (as you always should when the effects resource changed). 01/22/2013 Note: Still works with patch 1.48 (effects resource was the same as in 1.42). 01/11/2013 Note: Still works with patch 1.47 (effects resource was the same as in 1.42). I also added a section that explains the use of the fog emitter to check effects in game. Please don't PM me to ask the names of effects. If you cannot find it even with the fog emitter, ask in the comments to this post, so that others can help or benefit from an answer. Updated 11/01/2012: Updated to work with 1.42. 09/11/2012 Note: Still works with patch 1.38. Just make sure to create a new package for the patch (as you always should). 06/04/2012 Note: Still works with patch 1.34. Updated 05/27/2012: v1.0.7 Update should allow tool to run even on early versions where no DeltaBuild0.package exists. Updated 03/09/2012: You can still use the tool with 1.32. The patch added some effects that were obviously not yet meant to be released, but you can update your mods to be on the safe side. Updated 03/05/2012: v1.0.6 Update to fix issues with patch 1.31 in s3piwrappers.EffectResource.dll. Switched to .NET 4 and new s3pi libraries. Added Russian translation by Alienka. Thank you very much! Updated 11/24/2011: Replaced s3piwrappers.EffectResource.dll with one that fixes issues with missing leash effect (and possibly others). Many thanks to rocky44345 for reporting the issue. Updated 11/05/2011: v1.0.5 Update for use with Mono. Also updated the s3pi libraries while I was at it. Update 07/25/2011: Removed code I used for creating localization of effect names, so that exporting the effects list now again simply returns a simple list of all effects (instead of "effect_name=effect_name"). Update 06/23/2011: Added Polish translation of GUI (Thank you, hotroxy777!). Also added ability to localize effect names. "Export List" will still contain the original effect names. Update 06/22/2011: Added ability to export the list of effect names into a text file (so that you can always easily create the latest fog emitter effects list) and right-clicking on an effect name now copies it to the clipboard (for easy pasting into the fog emitter dialog). So maybe you don't actually mind the automatic memories for important moments, but the smileys ruin all your wedding photos. 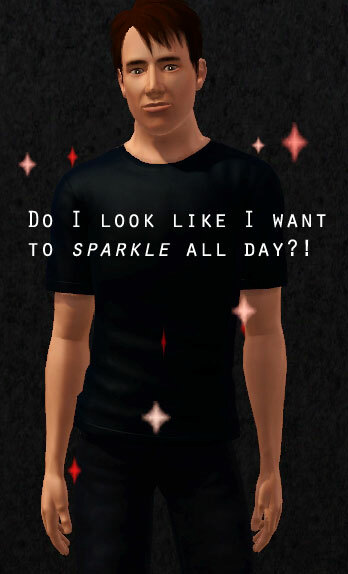 Or you'd like to use the Eye Candy reward but don't want your sim to sparkle for the rest of their sim life. This is a tool that makes it easy for you to switch off visual effects you don't want to see! Note: Mods created with this tool override the _SWB resource (TGI: 0xEA5118B0-0x0051185B-0xAE1859FADE0A9056) from DeltaBuild0.package and will conflict with all others that do so (e.g. my No Mosaic mod). Game version: This should work with older and future patches, as long as the effects wrapper can read the resource in DeltaBuild0.package. Make sure to always create a new package if a new patch comes out. This is especially important for new EPs that introduce new effects. Requirements: The tool requires .NET Framework 4.0 to run. d) It might take a few seconds for the GUI to appear since it has to read all effects first. You can click "Export List" to export a complete list of all effect names into a text file. "Store Unchecked" will save a text file with all currently unchecked effect names. Tip: For easy updating after each patch, save a list of the effects you always disable. When the next patch rolls around you can simply start the tool and load the previously saved list and the tool will uncheck all those effects for you. Since there are thousands of effects, I also added filter functionality to the tool. Enter a filter word and click filter to narrow the list down to the effects that contain the filter word. If the result of the filter will display less than 200 effects, the tool will narrow the list down even as you type (i.e. without having to click the "Filter" button). If the result of the filter is more than 200 effects but you still want to see them all, you'll have to click the "Filter" button. You can also click the "Checked" or "Unchecked" button in the filter toolbar to filter for all currently checked or unchecked effects respectively. You can at any time clear the filter to display all effects. Note: The Check/Uncheck All buttons only apply to the visible (i.e. filtered) effects, so you can conveniently filter for "memories" and then deactivate all six memory effects at once by clicking the "Uncheck All" button. Fairy wings: all 216 effects including the term "fairywings". Every wing form has a whole set of effects for both dark and bright colors. Note: You'll need Ambitions or patch 1.42 or later to use the Fog Emitter. Click the question mark category and select the last tab "Misc. Objects"
Go back into live mode and make sure the game isn't paused. It might take a moment, but a static or animated effect should appear. Tip: Right-click on an effect name to copy it to the clipboard. That makes it easy to paste it into the fog emitter dialog. For your information: If you'd like to provide different ready-made flavors of effects mods made with this tool, please do so. It was the reason for making it. Localization: The GUI of the tool is localizable. I've provided a German localization file. To use it, simply copy the content of "localization_de.txt" into "localization.txt" (or rename it). Other languages work analogously. You might need to expand the GUI if buttons or labels are suddenly missing (because they became too large). For translators: Simply copy the localization_en.txt and change the name to fit your language code. Then make the translations. To test, copy the content of your file to "localization.txt". Note: The effect names cannot be localized at this point. There are over 4,000 effects currently in the game! If someone seriously wants to translate them, let me know and I'll see about making them localizable. Effect names can now be localized. You must make sure the translations are unique. 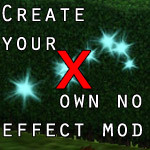 TS3_No_Effects_Modder.zip | Description: Tool to create your own customized no effects mod. 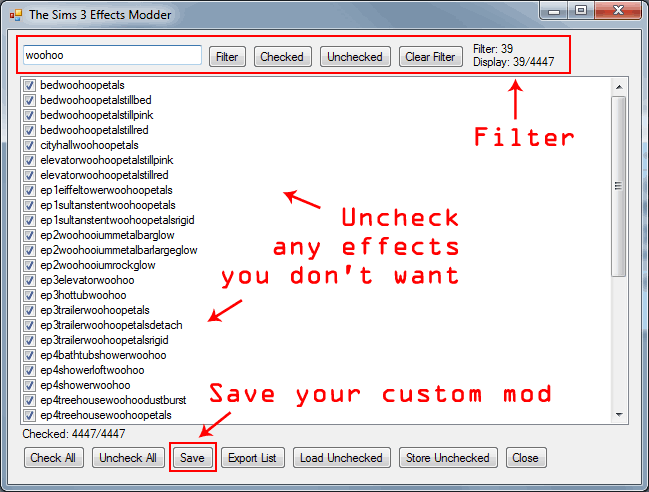 TS3_No_Effects_Modder_sourcecode.7z | Description: Source for the tool (not necessary to make a mod).